Oral surgery can help prepare your mouth for dentures or get you ready for implant-supported prosthetics. Your dentures can fit comfortably without shifting! For many people, dentures are a trusted, longstanding, and affordable solution for tooth loss. With the esthetics and fit of today’s modern dentures, it’s becoming harder and harder to detect who is using them nowadays! Unfortunately, dentures aren’t always a simple solution for everyone. Sometimes surgery is necessary before dentures can be designed or placed to ensure a proper fit and comfort. In this case, your general dentist or your prosthodontist may have referred you to our oral surgery practice. We can help you get on the right track so that dentures or other prosthetics are a good solution for you. Restoring the function of your teeth is important for your ongoing good health. Nobody wants to deal with a denture that doesn’t fit properly and comes loose at inopportune moments. Not only is this embarrassing, it can also make eating a challenge. Dentures are designed to stay in place using a combination of your dental bone anatomy and suction. The denture sits on the gum tissue, which lies over your dental bone. If your dental bone isn’t smooth, which can happen as the result of bone loss from periodontal disease, tooth extraction, or facial injury, the denture won’t fit properly. If your dentist is considering a bridge or a partial denture, it might also be necessary to expose teeth that are impacted, which means either partially or completely covered by gum tissue. Both bridges and partials rely on remaining healthy teeth to support the prosthetic. Another option for denture wearers who are concerned about proper fit and comfort is the All-on-4 system, in which dentures are held in place by four strategically placed dental implants. This procedure is also sometimes referred to as “Teeth in a Day” because unlike conventional implants, we can actually place the implant and attach the denture on the same day. Patients appreciate All-on-4 because it combines the affordability of dentures with the convenience, security, and long-term dental health benefits of implants. If dentures are in your future, ask your general dentist for a referral to Coal Creek Oral Surgery and Dental Implant Center to find out if you are a good candidate for All-on-4 dentures. Even if you aren’t now, plenty of treatment options are available to help you build up or even regenerate bone tissue so that implants can be securely placed. Our advanced technology allows us to get both two-dimensional and three-dimensional images and models of your oral structures so that we can anticipate structures and avoid surprises. We work with most major dental insurance plans and also offer patient financing plans so you can get the treatment you need when you need it and avoid further dental deterioration. 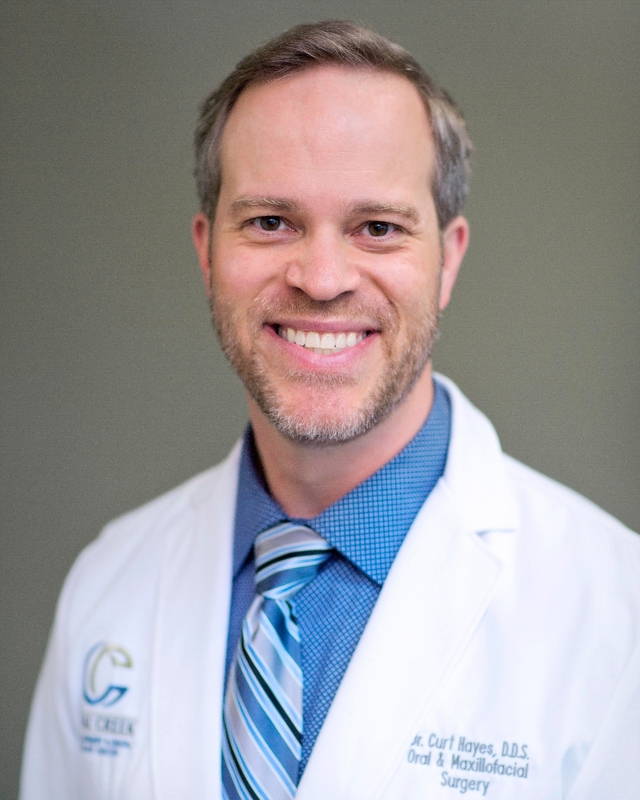 Call our Lafayette, CO oral surgery practice today to schedule your evaluation and consultation with Dr. Hayes. We'll help prepare you for well-fitting dentures..